Catching up on some unread blog posts in Google Reader this morning, I came across a post R.K. McSwain made on his CAD Panacea blog (a personal favorite) earlier this week titled AutoCAD LT rebate. 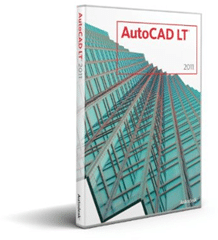 AutoCAD LT 2011 retails for $1,200, but Autodesk is running a promotion on their own site until July 18, and on Amazon.com until July 16 that will save you an additional $300. Can’t say why the promotion runs two-days longer when bought directly from Autodesk, but you can save an additional $180 when you purchase from Amazon.com for $720. Out in San Francisco during the AutoCAD 2011 Product Launch Event I took a first look at 3D Surfaces inside AutoCAD 2011. 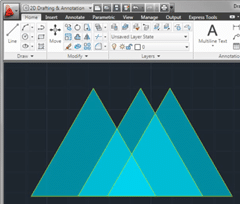 As powerful as 3D AutoCAD has become, 2D remains a mainstay of what many AutoCAD users do on a daily basis. After all it’s still 2D plan sheets that get things built. 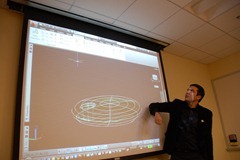 On the 2D side, Hatching is by far one of the biggest enhancements to the 2011 release of AutoCAD. I’ve made my opinion of the Ribbon no secret in recent years. 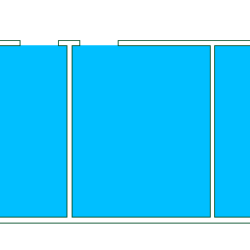 For me the AutoCAD 2009 Ribbon left a lot to be desired, but the addition of contextual tabs in 2010 made it one of my favorite parts of AutoCAD. You may recall the contextual Editor tab for Mtext inside AutoCAD 2011. This year the trend continues with the HATCH command. Say goodbye to the bulky Hatch dialog, and hello to what I think is a wonderful execution of what contextual editor Ribbon tabs can and should be. Just push play on the video below to have a look at some of the hatch improvements inside AutoCAD 2011. I have the privilege of traveling to San Francisco, CA for a special Autodesk event being held in the Autodesk Gallery at One Market next Thursday (March 25, 2010). There I will be among a group of AutoCAD bloggers who will meet with the AutoCAD Teams at Autodesk during what is sure to be an incredible day of technical insights and more. Part of our day will include getting a front-row seat to an exclusive live webcast you too can attend with Autodesk CEO Carl Bass and Senior Vice President Amar Hanspal as they discuss updates to Autodesk’s portfolio of design software for the AEC, manufacturing and general design industries.